Baseball season is winding down for the Tigers. They play tonight in West Mesquite, Friday night at home against Lancaster and close the year out on the 27th in Ennis. 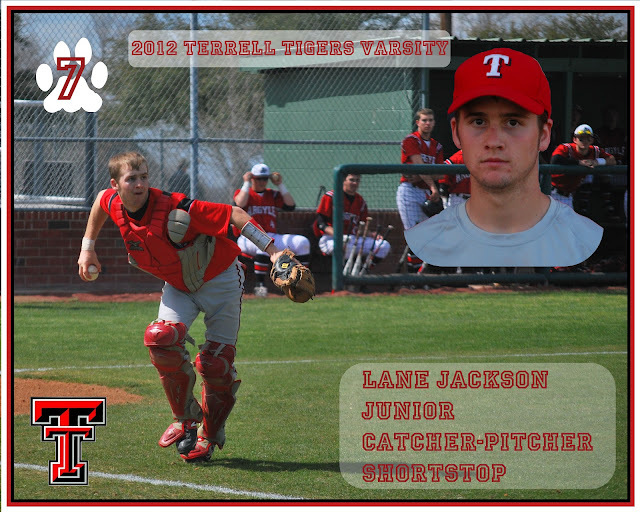 I've taken some of the pictures from this year and made a picture for each varsity player. I think they look pretty good for an amateur.